Do you need a certain type of resource, but you aren't sure who the exact resource is yet? Build your templates with Placeholder Resources to forecast resource allocations and project budgets AND take advantage of our Mass Assign feature for project resources. The Placeholder Resources lists excludes these "fake users" from availability/capacity calculations, but their assigned work counts towards the work the department or company must complete. In the Administration > Users > Placeholder Resources, you can automatically create placeholders that match your Resource Types in Administration > Projects > Resource Types. Click the link at the bottom left of the screen "Automatically Create a Placeholder Resource for Each Resource Type". You can enter the Placeholder Resource line by line, if you prefer by typing in the line to name each placeholder. (It may be fastest to Auto-Populate with the link above and just change the name, but it's up to you). Use either method of naming your Placeholder Resources, then give them a corresponding Default Resource Type (the type of work they'll do) and a Default Bill and Burden Rate. 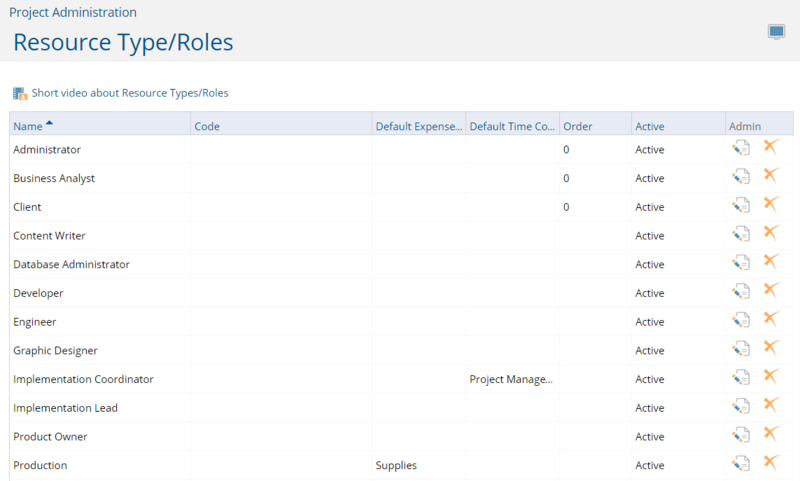 Assign Placeholder Resources to your template for accurate costing scenarios and Resource Allocation reports.